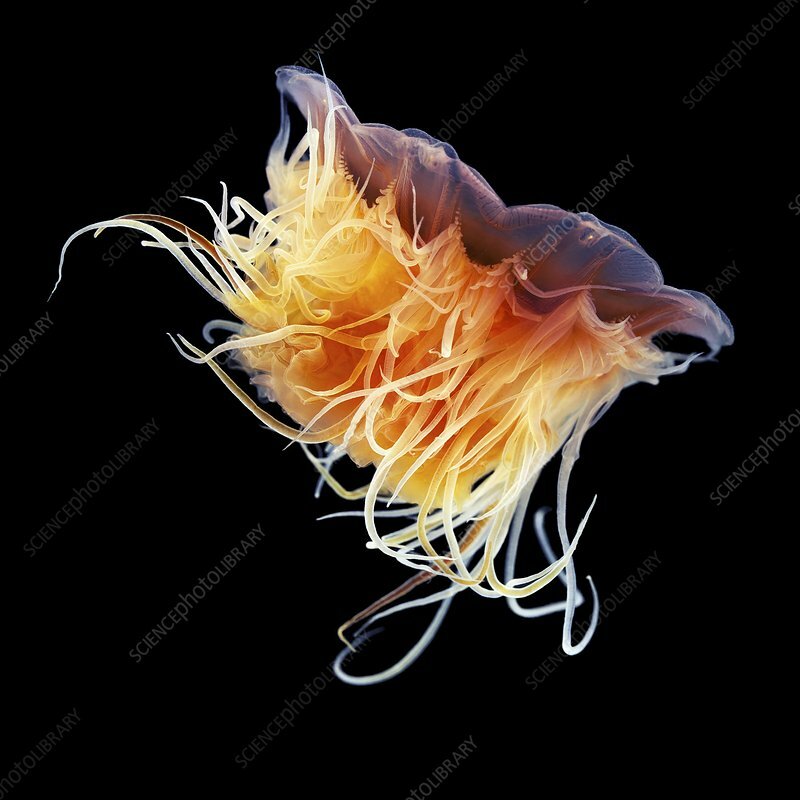 Lion's mane jellyfish (Cyanea capillata). Lion's mane jellyfish are the largest known species of jellyfish. They can reach over 2 metres across with tentacles of around 30 metres long, containing millions of nematocysts (stinging cells). They range from Arctic waters to the coasts of Florida, USA, and Mexico.